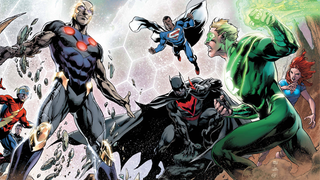 DC is starting a period of big comic events off with Convergence - which launches a new weekly series and ten tie-in miniseries today. But it’s not all big events this week: Mark Millar fills in the events set before Jupiter’s Legacy, Boom! uncovers the history behind Sleepy Hollow’s Ichabod and Abbie, and more. Comics!